Recitals are great opportunity for students to practice music in front of others and gain confidence, build performance skills, and broaden and strengthen their musicianship. Each year, all students have occasion to perform on Collegium Musicum Conservatory of Music Winter (December) and Spring (June) recitals. Other performance opportunities include evening CMCM-hour informal Saturday's recitals held at Conservatory's Chopin Hall. Collegium Musicum Conservatory of Music encourages and guides students through process of music competitions where they can perform, gain experience, learn and eventually win award or scholarship. Collegium Musicum Conservatory of Music offers preparation for Royal Conservatory exams (RCM) and other music/art exams for elementary, secondary, college and university programs. THE ROYAL CONSERVATORY OF MUSIC has been the standard for musical education in Canada since 1886. 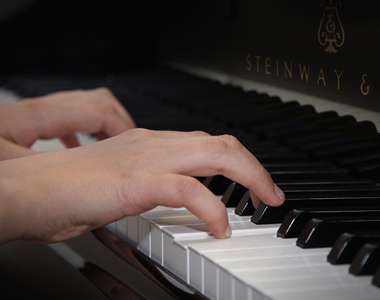 The Royal Conservatory offers a graded, curriculum that establishes clear, progressive learning goals. RCM Exams are beneficial to a student's musical development. Exams serve as a goal and motivator for consistent practice and provide students with a great sense of accomplishment when they receive their comments and marks. Lessons are available to prepare for practical exams from Preparatory A to Grade 7. Lessons are available to prepare for theory exams from Basic to Advanced Rudiments, Music History, Harmony, Counterpoint and Analysis. Private lessons are based on a 40-week schedule running from September to June. Summer lessons are based on a 4 or 6-week schedule. Full payment is due in advance upon registration / beginning of the month. July 1 (4 or 6 lessons) due at time of registration. Late payment will be subject of interest charge (28% annual rate). Returned cheques NSF by the bank are subject to a $25.00 handling charge. Private students are allowed a maximum of 3 make-up lessons per year. Make-up lessons are offered to students who give the teacher 24 hours notice and will be subject to availability. These lessons must be fulfilled during the same semester of the absence. Refunds are not given for missed lessons (see above) except under special circumstances such as extended illness. If a student leaves the school after the 1st lesson at the beginning of the month, no refund will be provided for the balance of lessons in that month (monthly payment). In the event of a serious illness or family crisis a refund for remaining untaught lessons may be given at the teacher's discretion. The CMCM reserves the right to terminate a student's lessons for inappropriate behavior or for failure to abide by this policy.